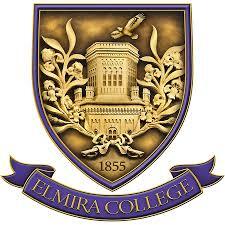 ELMIRA, N.Y. -- The Empire 8 Conference announced that 11 of Elmira College's varsity teams were awarded E8 All-Academic Team status and 71 student-athletes were named to the President's List in recognition of their outstanding work in the classroom. To be considered an E8 All-Academic Team, a squad must maintain a grade-point average of 3.20 or higher during the spring semester. Among the 11 EC teams that garnered the honor this spring, women's cross country led the way with an impressive 3.69 GPA, followed by women's basketball with a 3.50. Also qualified for the award were: men's and women's ice hockey, field hockey, women's volleyball, softball, women's tennis, women's golf, women's soccer, and women's lacrosse. Recipients of the President's List distinction must be enrolled full-time at their respective institution and carry a minimum GPA of 3.75 while participating in a conference-sponsored sport and displaying positive conduct on-and-off campus. As the Empire 8 states, "Its commitment to serve the educational needs of its student-athletes is the hallmark of the Empire 8." With 71 honorees, Elmira increased the number of President's List award winners by a dozen when compared to the spring of 2017.